The Audiophile Circuits League do their assembly in Berlin – joining a growing number of boutique makers, including Koma, MFB, Jomox, and Verbos, just to name a few. 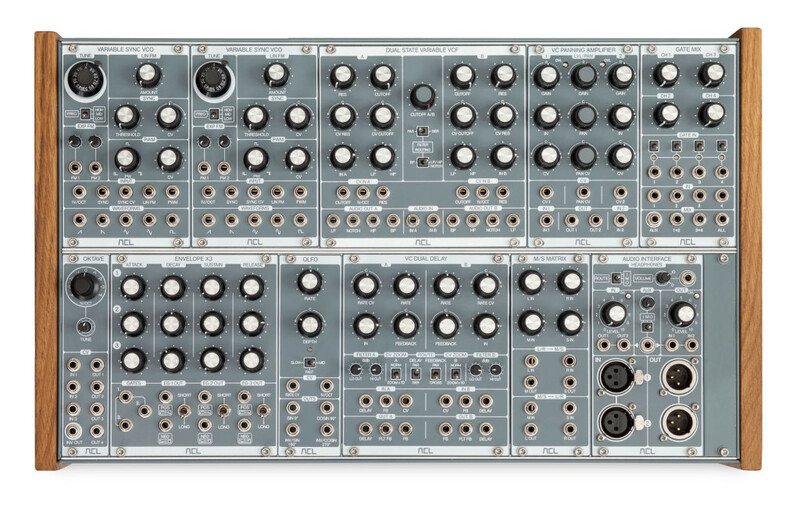 With a direct-order price of 3930 EUR, it’s not exactly a budget synth. But figure that even pretty recently, digital workstation polysynths were going for near this … and a whole modular rig is a lot more fun. (The price of modular synths as a category, meanwhile, have absolutely dropped – this high-end model is far less than the historical instruments that inspired it, calculating for inflation, to say nothing of prices that drop down to literally zero if you go to software). Okay, so what’s in there? So you can make freaky synth sounds, lots of effects, and (of course) precise, thumping kicks. And the whole thing feels really nice, including some really luxurious knobs (they’re “Vernier dials” for anyone interested). But… if you don’t know what the above means, then this probably isn’t for you. There’s also an audio interface module and nice touches like a low impedance headphone jack – all the sorts of things that sometimes get overlooked by odd DIY modules. These folks being in Berlin, they’re neighbors to CDM, so if there’s anything you’d like to know or see, tell us and we’ll find out!